The health of your smile is important, but a healthy smile can still be hard to show off when you aren’t confident about the way your teeth look. Our Placentia cosmetic dentist offers effective ways to straighten crooked smiles, fill in gaps, remove stains, or correct any other condition that detracts from the beauty of your smile. New techniques applied by the skilled hands of Dr. Rees Olson, along with quality materials, help create natural-looking smiles. At our dental office in Placentia, California, you’ll find a complete range of restorative and cosmetic dental care that can help you look like you’ve never had a cavity and give you a picture-perfect smile. Having a brilliant smile seems to be emphasized everywhere. If you are tired of fumbling with difficult over-the-counter whitening strips that don’t really give you the best end result, see us for the latest and most effective in-office or at-home whitening treatments available. Applied over the existing tooth, veneers are exceptionally thin shells of porcelain that will instantly correct years of discoloration, crooked teeth, and a variety of other problems. Crafted by the skilled hands of Olson Family Dentistry, you can walk out looking close-up ready in no time. By applying a resin filling to the tooth, your dentist works as an artist to fill gaps, cover discolorations, or reshape teeth that are misaligned. Once filled and polished to a diamond shine, your teeth will appear healthy and fresh, and you will walk away with a flawless smile. Are you put off by silver fillings for cavities? At Olson Family Dentistry, Dr. Rees offers tooth-colored fillings using a state-of-the-art approach. Besides being virtually invisible, white fillings bond to the tooth structure, which can protect and increase the overall strength of the tooth being restored. 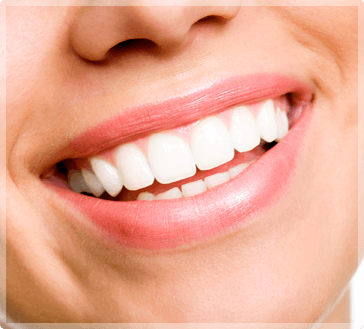 Best of all, since tooth-colored fillings look so natural, you can smile, talk, and eat with confidence! With his artistic touch and knowledge of the latest innovations in cosmetic dentistry, Dr. Rees can design the smile you’ve been dreaming of. Before proceeding with any cosmetic enhancement, he will discuss which options are right for you. Together you’ll discover just how beautiful and brilliant your smile can be. Contact us today at (714) 993-3610 for a consultation in our North Orange County, California office, or you can use our online form to request an appointment.